I am not very sure that many of us are known to Echor recipe or not. If you are close to Bengali literature, you certain found the word Echor. 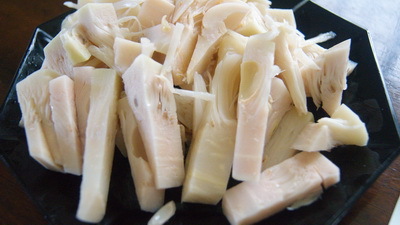 Echor is actually young jack fruit which is used as a vegetable. Echor / young jack fruit is good source of protein. It used to be very popular among vegetarian. When I come to Australia, I again get close to Echor/ young jack fruit (thanks to Nipa bhabi). This time is more handy form (green jack fruit can). Hope you will like handy form of old recipe. 1. 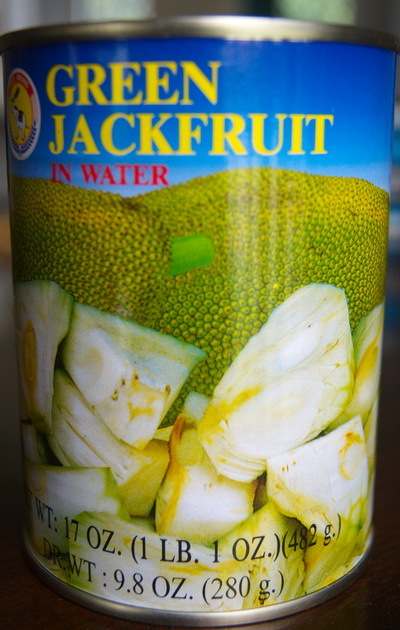 Pour the green jack fruit can in a drainer and place it under running water about 3-4 minutes. Wash well and cut into long strip like the picture. Keep aside. 2. Heat the pan with oil and add onion and cook it till it becomes light brown. 3. Add rest of spices and cook it till oil is separated. 4. 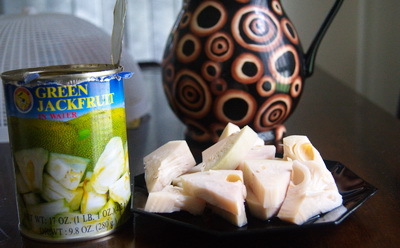 Add jack fruit pieces and sauté it about 4-5 minutes. 5. Add potato, salt and 1 and ¼ cup of water. 6. Cook it about 20 minutes or till potato becomes tender. 7. Stir it and check the salt. 8. Add sugar and cumin powder and dry it up. Remove from heat. 9. 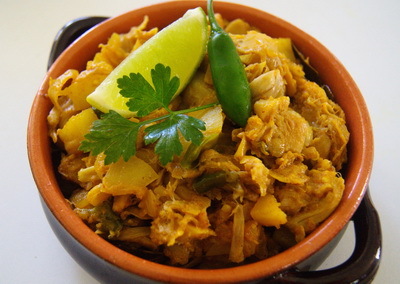 Serve Echor / spicy young jack fruit with rice. Echor recipe was very hard to find online. Great to see you have not forgot this classic. Hard to forget ..you know that every classic Bengali novel remind us echor. Soon I will echor cutlet, hope you will like that.